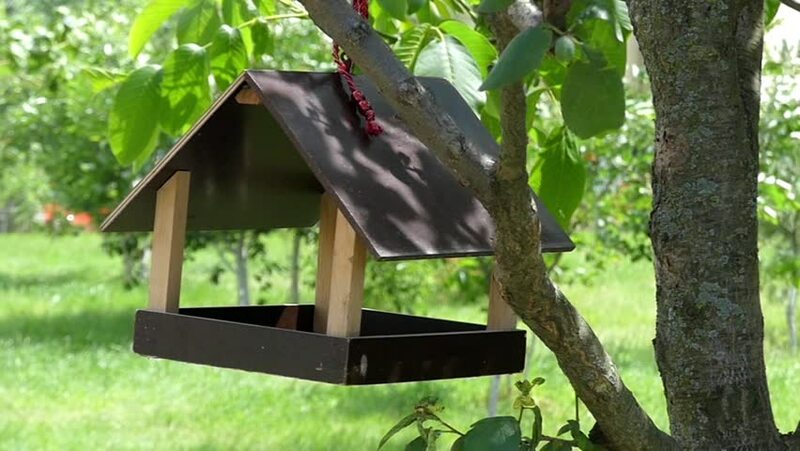 Wooden Bird Feeder to Spin in the Wind. the Action in Slow Motion. 4k00:17A black raccoon on a small wooden house. a grayish-brown American mammal that has a foxlike face with a black mask and a ringed tail.